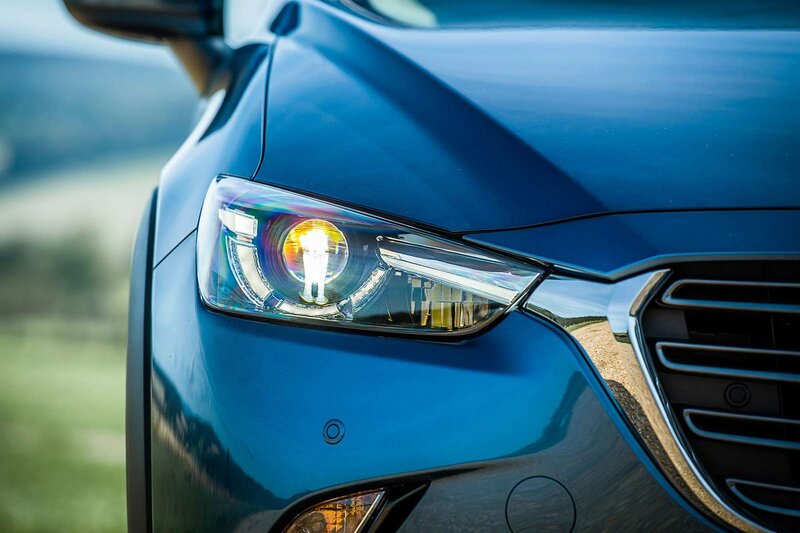 Mazda CX-3 Running Costs, MPG, Economy, Reliability, Safety | What Car? The CX-3 isn’t a particularly cost-effective small SUV. It’s expensive to buy, for starters, especially if you go for one of the higher-specification models. Mazda expects most buyers to opt for a PCP finance scheme rather than buying outright, but even then the CX-3 is costlier to buy than many of its rivals. It’s cheaper to service than other alternatives and holds its value well, though. There are three trim levels in the CX-3 range: SE Nav+, SE-L Nav+ and Sport Nav+. Standard SE Nav+ models come with a decent amount of kit, including 16in alloy wheels, air conditioning, a DAB radio, Bluetooth, cruise control, power-folding door mirrors and a 7.0in touchscreen infotainment system with sat-nav. The mid-spec SE-L Nav+ builds on that with the likes of LED front foglights, privacy glass, climate control, heated seats and rear parking sensors. 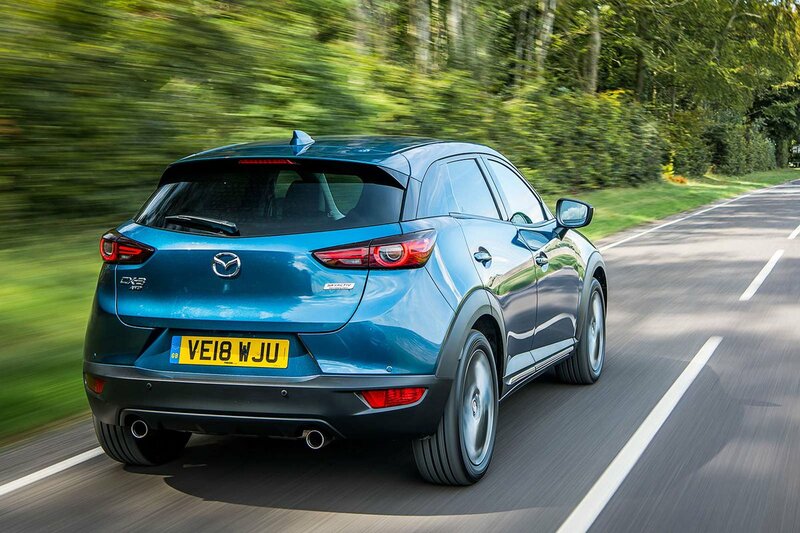 It’s a pricey step up from the SE Nav+, but we reckon it’s worth the extra. Pricey Sport Nav models have additional, useful features that include LED headlights, keyless entry, a head-up display, a heated steering wheel and a rear-view camera, but also add many cosmetic enhancements that add little value. Their bigger 18in wheels return a rather bumpier ride, too. 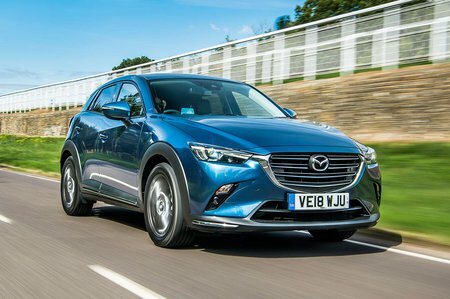 Mazda as a manufacturer has a good record for reliability, finishing 12th out of the 31 manufacturers reviewed in our last reliability survey. The CX-3, at least pre-facelift, didn’t quite match that score, though, finishing mid-table in the small SUV class. Better news is that a three-year/60,000-mile warranty is standard, although it’s worth bearing in mind that brands including Hyundai and Kia cover their small SUVs for longer. Every CX-3 comes as standard with a decent amount of safety equipment, including six airbags, stability control, hill hold assist, tyre pressure monitoring and a speed limiter. A tyre repair kit is also standard across the range. SE-L Nav and Sport Nav models feature city automatic emergency braking to reduce the likelihood of a bump in town, and lane-departure warning is on hand to alert you if you drift from your lane on a motorway or well-marked country road. There’s also an optional Safety Pack that adds blindspot monitoring, rear cross-traffic alert and high beam assist. While reasonably priced, it’s a shame it’s only available top-spec Sport Nav+ models fitted with a petrol engine. A Thatcham Category 1 alarm is fitted to all CX-3s.